In this simulation, you will be manipulating two variables: light intensity and light wavelength. The amount of ATP produced will change depending upon the set parameters. Go to "Johnson Explorations: Photosynthesis" located at http://www.mhhe.com/biosci/genbio/biolink/j_explorations/ch09expl.htm . Look over the diagram before clicking on "skip intro" so you have a fair idea what is going on, the above diagram will also help. Procedure: Your task is to use the simulation to determine how wavelength and intensity affect the rate of photosynthesis (and the production of ATP). Keep in mind you are dealing with two variables, so in order to determine absolutely how each factor affects photosynthesis, you must keep one variable constant while manipulating the other variable. Lab Report must contains the following typed sections. 1. Problem/Question: How will wavelength and intensity affect the rate of photosynthesis (and the production of ATP)? 2. Research: Describe briefly photosynthesis. Concentrate on the light dependent reactions (purpose). 3. Hypothesis: a hypothesis that proposes a possible answer to the experimental question (can you test this?). 4. Prediction:. When you test your hypothesis what do you predict will be the outcome? 5. Experimental procedure: explain in steps (1,2,3, etc.) what you will do to test your hypothesis and collect data (multiple trials over time at different rates). Remember to only manipulate one variable at a time for each trial. 6. Data: Include data tables and/or graphs for the simulation. The tables and/or graphs must show clearly, trends resulting from changes of intensity and changes of wavelength. Multiple trials over time would be best here. In Microsoft Word, use the "table" function to organize your data. A graph showing how the percentage of ATP changed (Y axis) as a result of changes in wavelength and intensity (X axis). Two graphs would be best here (wavelength and intensity). You may use Create A Graph to make your graphs, or use a spreadsheet or graphing program of your choice. 7. Data analysis: Use your data (discuss the data) to support or reject your hypothesis. 8. Conclusion: Propose your best explanation to the problem/questions based on your data. Discuss any errors, and other questions that may have come about from this simulation experiment. Research Explanation of light dependent reaction lacking or very little information present. 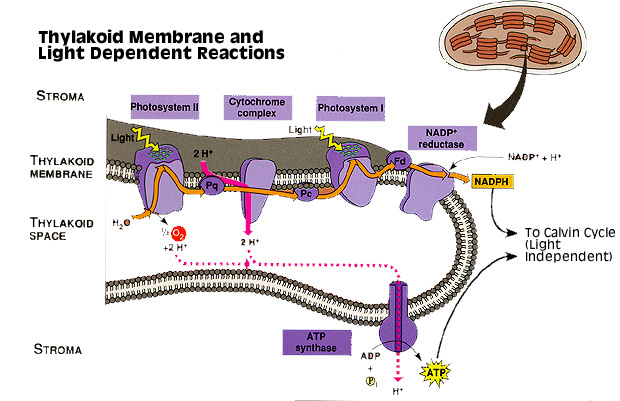 Offers explanation of the reaction, some parts vague or incorrect. . Offers good explanation of the the light dependent reaction, includes how light is used to produce ATP and NADPH. Prediction Prediction missing or does not relate to the hypothesis Prediction: unclear or does not fully provide a prediction of what will happen when the hypothesis is tested. Prediction clearly provides a predicted outcome that is expected to happen when the hypothesis is tested. Procedure Very little (unclear) or no explanation on how simulation will be run in order to collect sufficient data. Unclear or partial explanation/steps on how simulation will be run in order to collect sufficient data Fully explains (very clear) how light reaction simulation will be run in order to collect accurate and sufficient data. Data analysis Does not support or reject hypothesis. Specific data is not used or referred to. Not clear or concise. Supports or rejects hypothesis. Partially incorrect analysis of data or does not refer to specific data. Somewhat clear and concise. Indicates if hypothesis was supported or rejected. Accurately refers to specific data to support or reject hypothesis. Clear and concise. Conclusion Does not propose a possible explanation to the question. Is not based on experiment. No errors or other questions discussed. Partial or erroneous possible explanation is proposed for question. Misinterpreted results from experiment are used for bases of explanation. Errors discussed. Proposes possible explanation to question. Based on what was found in experiment. Any Errors and other questions that came about are discussed. Clear and concise.